NOTICE: 4GCOMMUNITY IS NOW OUT OF BUSINESS, AND INFORMATION ON PAGE NO LONGER VALID. We absolutely love it when our readers tell us something we don’t know about cheap internet plans. And our other readers love it, too. Especially when they tell us about exciting, new, affordable internet plans. That’s why we were so happy when Steve (who we often refer to as “our resident PCs for People expert”) told us about a new plan from a non-profit organization called 4GCommunity. The bad news about 4GCommunity is that it does require that upfront payment. The good news — the really good news — is that the plans look very affordable if you amortize it over a year or longer. 12-Month Power Service Bundle with Gateway. When you pay $500 upfront get you a device and 12 months of internet service. After the first 12 months, the price drops to $255 annually. This is billed on the eleventh month of the first year. You’ll be charged a late fee if the following year’s payment isn’t on time. Running the numbers: 4GCommunity’s 12-Month Power Service Bundle with Gateway will cost you $500 for the first year = $41.67 per month and $245 for the second year = 21.25 per month. That brings the average monthly cost for two-years down to $31.45. Additional years bring the average monthly cost down even further. The only other charge we see is a one-time $15 “membership” fee that’s used for postage to send you your wireless router. 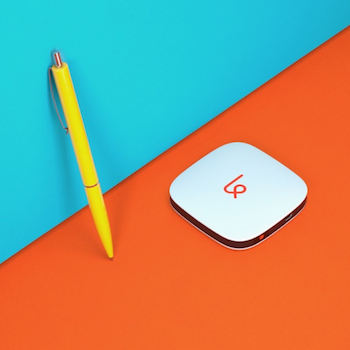 If you select the Power Service bundle you’ll get wireless internet service across three networks (3G, 4G LTE and Spark) , unlimited data, and no throttling. Plus a new Netgear 6100D integrated connectivity gateway for home or small office use. After you join 4GCommunity.org, you should receive your welcome package and wireless router within seven days. Like we said, 4GCommunity internet service costs more than subsidized programs like Comcast’s Internet Essentials or Access from AT&T, and it’s slightly more expensive than PCs for People, but it’s a terrific option if you don’t qualify for those low-income plans. And while it’s more expensive than other low-income plans, it’s a lot less expensive than more typical internet plans that cost and arm, a leg, and a spleen. You are eligible. It’s that simple. We scoured the 4GCommunity.org website, but could not find anything that told us who was eligible. Must you have an income below Federal Poverty Guidelines to qualify? Must you participate in some other government assistance program? We couldn’t find anything on the website that referred to eligibility requirements. The simple answer to your question is we consider ourselves “an equal opportunity driven not-for-profit.” Therefore, anyone who believes in our mission can become a member and help support the community-focused work we do. Income is not a qualifier in this case. Caring, especially about the greater good of community, is an important qualifier. 4 Good Community is what we’re all about. If you decide to join, please consider using our promo code: PAYITFORWARD It will save you $5.00. All we ask is that if you see someone in need in your community, or know of an organization in need, consider passing some of the $5.00 along to them. It’s often the little things that add up and will make the biggest difference in a person’s life. Improve a person’s life. Uplift a family. Unite a community. Strengthen the nation. And that quickly, we realized that this really good program is a really great program. Your 4GCommunity account comes with a mobile hotspot that makes life a lot easier for you and your family, because it allows everyone to connect to the internet simultaneously. For example, dad could check the latest scores with his laptop while mom’s checking in with the kids’ teachers with her tablet while the kids are doing their homework on a smart TV. All at the same time. And it works as well with wired connections as it does with wi-fi. You can connect a desktop PC using USB. Or one of 4GCommunity’s simple adapters can convert wi-fi signals to traditional wired Ethernet. 4GCommunity.org is a non-profit organization that serves the United States, Puerto Rico, and the U.S. Virgin Islands. In other words, it’s not some giant telecommunications conglomerate that’s out to separate you from your hard-earned money. 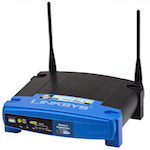 It offers affordable 4G LTE wireless internet service with unlimited data and no speed reductions. None. And you can get it all for less than fifty cents a day. If you need low-cost, high-speed internet service, but don’t qualify for one of the subsidized subsidized corporate programs (such as Internet Essentials, Internet Basics, or Access from AT&T), 4GCommunity may be exactly what you’re looking for. There are no credit checks required. No long term commitments (except for some select services). And if you’re unhappy with the service for any reason, 4GCommunity offers a 14-day service satisfaction guarantee. 4GCommunity is available on Sprint’s national cell network, which includes 95% of the people in the United States and probably includes everyone you need to call. Here is a list of the major cities covered in each states. Please keep in mind, however, that this list is just a rough guideline and that the Sprint network also covers many smaller suburbs and towns surrounding each of these cities.